The Philadelphia 76ers pride themselves on representing a city with a rich, unconventional history, but in recent years, the team hasn't held up its end of the bargain (three straight losing seasons and a dismal 18-64 record last year). Hoping to rediscover its identity and usher in a new era, the NBA team looked no further than the city's own rebellious roots and its young, spirited players. 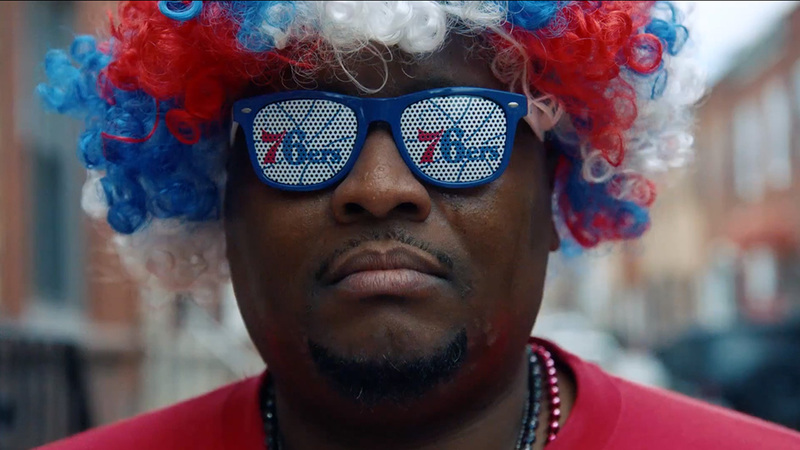 An action-packed, 90-second spot from creative agency Mother steps away from the traditional sports ad by weaving together shots of famous Philly landmarks, historic footage of former players on the court, a crop of the team's younger talent, die-hard fans and more. Lines from the ad like, "Our history is making history and, just as we did then, we want it more," and, "Every fight has an underdog, and they can't stop 20,478 of us," celebrate the city's scrappy past—mainly taking on an empire, and winning—and are intended to rally fans behind the young team. "We see opportunity where others see challenges," Philadelphia 76ers CEO Scott O'Neil told Adweek in an email. "We embrace and enjoy the unconventional, and this campaign captures the spirit of what it means to be a Philadelphian and a Sixer fan." The strategy for the campaign focused on the idea of a team that's "revolutionary at heart," according to Bruno Frankel, a strategist at Mother. From there, they landed on the tagline, "Since 1776." Frankel knew that taking on work for such a historic team with a such a dedicated fan base wouldn't come without challenges. "This team is not named after an animal or weather pattern—its name comes from the history of the city. It represents embracing a bold, new vision and committing to it," Frankel said. Other efforts the team is trying to revitalize its brand include new court and jersey designs, an advanced training facility, fresh ticket art and its own content studio to maintain the look and feel created in the Mother spot. "Despite the fact that I'm super proud of the 90-second spot, the real thing that's driving everything is the brand reinvention that lives on for the next decade. It's a book that's now landed in the hands of the players and staff," Frankel said.